Looking to mount my 10 AN fitting for the turbo drain. Any reason why I wouldn't want to drain the turbo effluent into the front cover nearest the turbo (assuming it doesn't interfere with pulleys or belts). 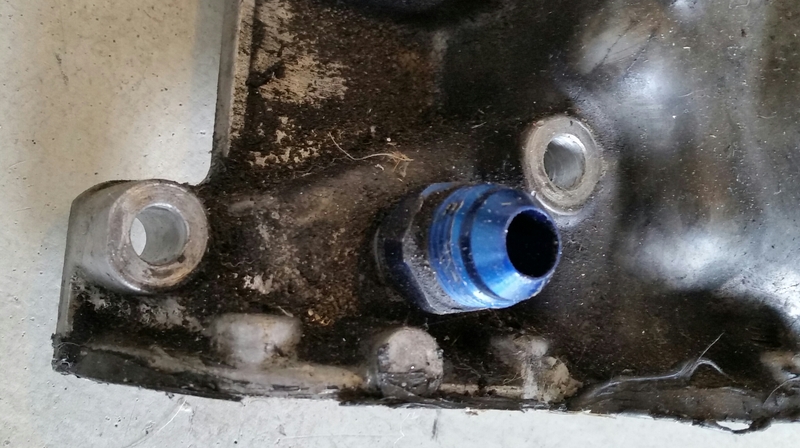 I'm worried that if place it near the front of the oil pan it may come close to interfering with the front sway bar during engine install/removal + would rather not have to go under the car to attach/remove. 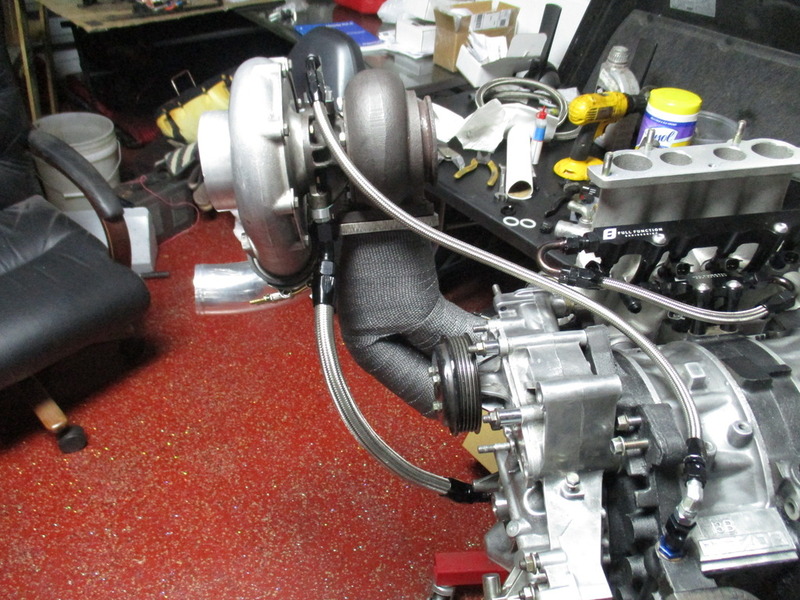 Also, is there any reason I cant mount m oil pressure sending unit between the turbo and turbo feed line from the block... I have don't this on my mustang an the readings are fine. You can drain to the front cover. 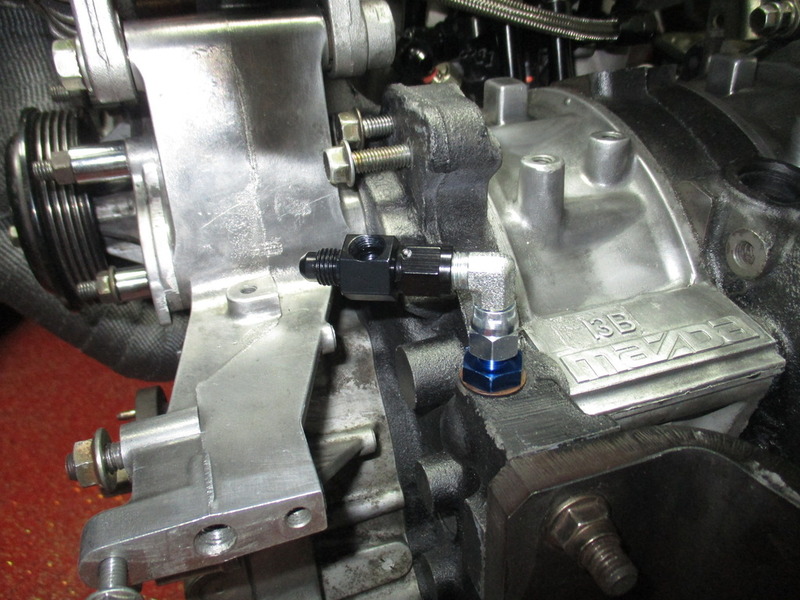 It would also be fine to put the oil pressure sending unit on the turbo feed line but why would you want to do that? Tapping the front cover there for the turbo drain would not be advised. I don't have a sandwich plate for the oil filter and running this $8 fitting is far easier. Ah okay, but what about the stock oilpressure sending unit location? Or are you talking about for an aftermarket gauge? On a Renesis front cover? Yes it will be for an aftermarket gauge, and ya that is most definitely a renny front cover. I have a 10 AN bulkhead fitting and a aluminum weld on male fitting, I just wanna make sure I put the drain in the best location. Ah okay, yeah that will be fine for an aftermarket oil pressure gauge. I don't think the location you are pointing too on the front cover will work but all I have is memory to go off of, . Maybe here if you can do it without compromising the front cover. Last edited by 9krpmrx8; 09-15-2015 at 03:45 PM. You need to tap the renny front cover lower, I'll get you a pic of mine. Yeah it looks like I can shoe horn it in there. I'll wait to see where fire has his and then go from there. Thanks for the help. Got the drain completed, the 10 AN line is a straight shot to the front cover. With 45 degree swivel fittings on each end, the line is easily moved around to clear anything it needs to. Last edited by strokercharged95gt; 09-20-2015 at 12:54 PM. Question about the front cover o-ring. I have seen that rx7 people do not use the front cover o-ring when they use a rx8 front cover gasket. I have also seen people still use the front cover o-ring and the rx8 gasket. I am using the rx8 front cover a new rx8 front cover gasket. 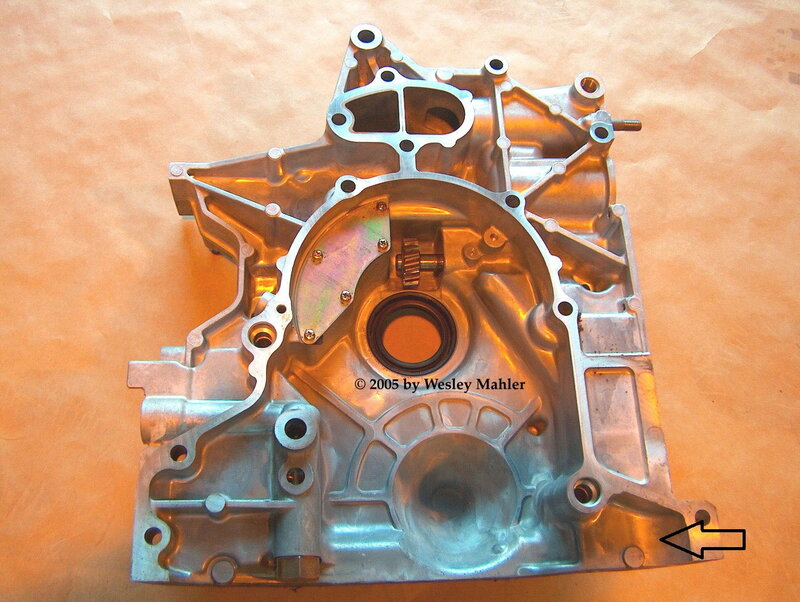 I am looking for a definitive answer if I should use the o-ring and front cover gasket or just the gasket. 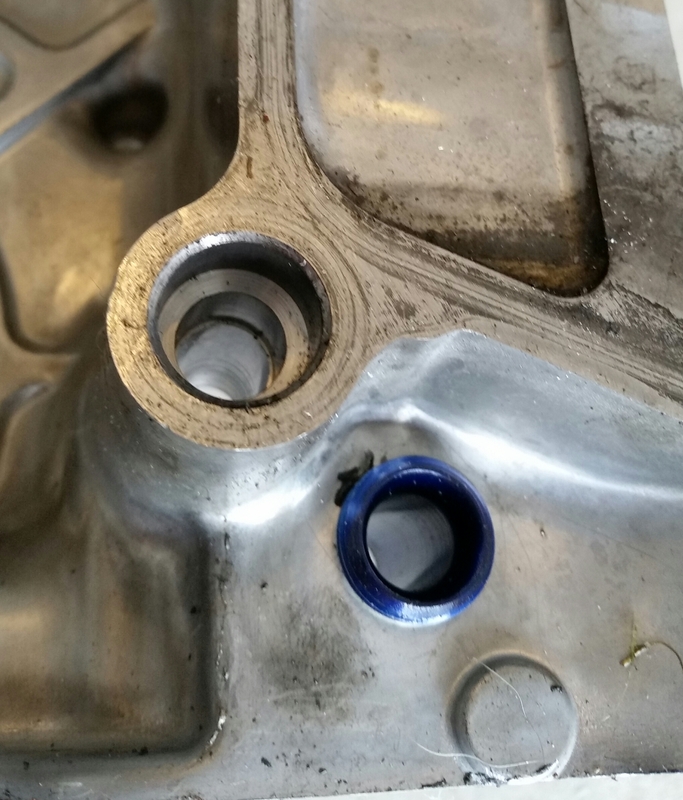 It appears that the front cover teflon oring is used in the 13brew because the front cover gasket does not include sealing in this area. Any help would be appreciated. I am installing my Adaptronics Select on my car. I have both narrowband's and a prosport wideband installed on the car. I didn't realize that the adaptronics used the upstream 02 for its calculations. I am planning on leaving everything in place and simply running the 0-5v output wire from the prosport wideband kit and tapping that into the narrowband harness.... I see that the front o2 sensor has 4 wires, 2 in and 2 out. It looks like the two output wires from the 02 sensor to the ECU are blue/orange and pink. Does anyone know which one of these wires I would connect my 0-5v wideband output into????? Update: Been in communication with Adaptronics staff, they have given me some pointers on how to use the RX8 PNP unit with the REW swap. They walked me though setting me up the wideband through the APV input. Began cranking the car yesterday to build some oil pressure, but blew the 100 amp inline fuse. Added an additional ground to the starter, but now im waiting for amazon to deliver me some additional fuses. Last edited by strokercharged95gt; 11-08-2015 at 12:52 PM. Subbed, Will be following closely. Motor kicks over fine now, I originally tried cranking over the motor with a 13 year old red top that was low on charge. Also. only had one small ground to the motor. I added a 2awg wire from the Ac compressor to the shock tower. 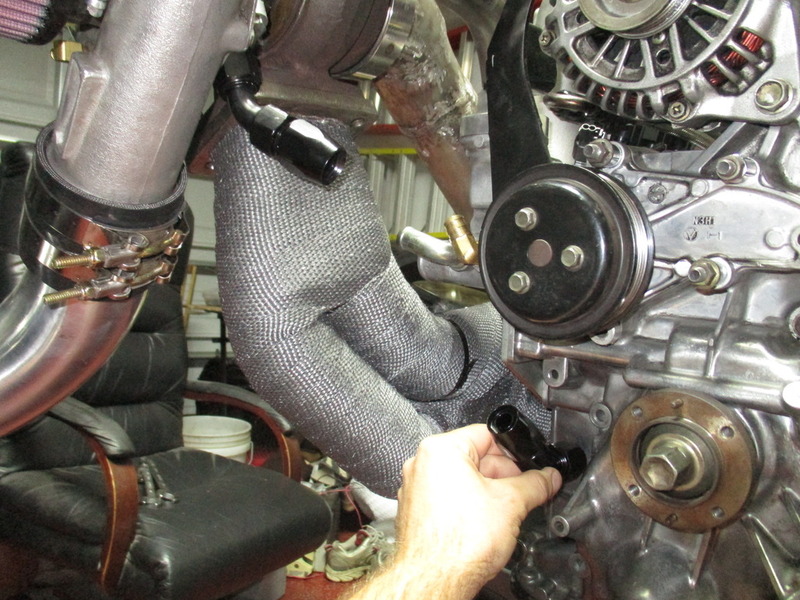 Been spinning the motor with the spark plugs out, oil is moving around the motor, but I am getting oil weeping out of the oil pedestal mount at the rear iron while oil pressure builds. Going to try and make my own gasket instead of modifying an rx8 gasket. Will try some hylomar and some torque on the bolts. My next option would be to buy a CXRacing pedestal mount and use an inline filter between the oil cooler and line into the motor. Will wait another week for a $5 part. Getting closer. Last edited by strokercharged95gt; 11-13-2015 at 02:42 PM. Hi guys. Im new here and gonna get my rx8 soon ! I have a questions, please help me. 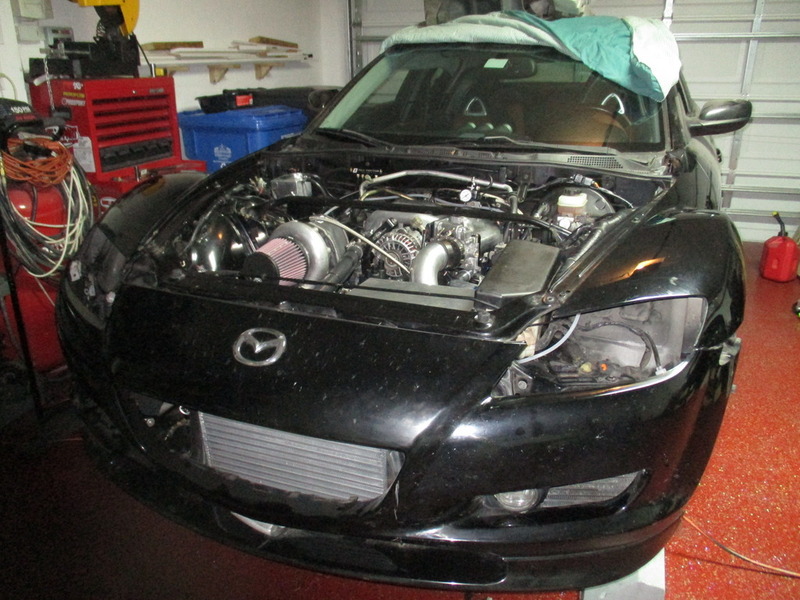 My friend offered me an oem 04 rx8 m/t and 04'rx8 with swapped engine. 13B rew fd3s. The oem one cost more expensive than the 13B rew one. Which one is better ? Which is have less problem. I'd like to have an turbo on my rx8, so , which is better? 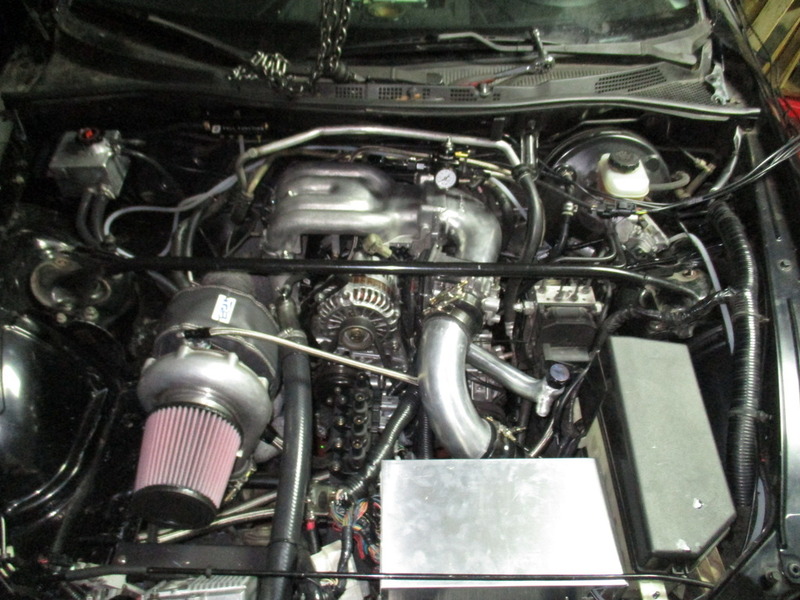 Rx8 engine with additional turbo. 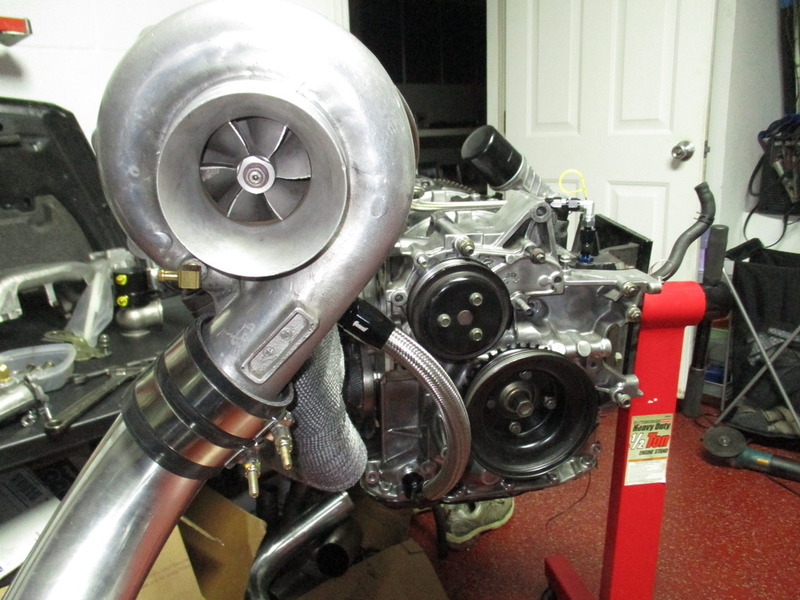 Or 13b rew twinturbo? Thanks guys. Do you mind posting a link or contact info, there are a ton of Force-fed shops and I can't find anything about an oil pedestal mount. 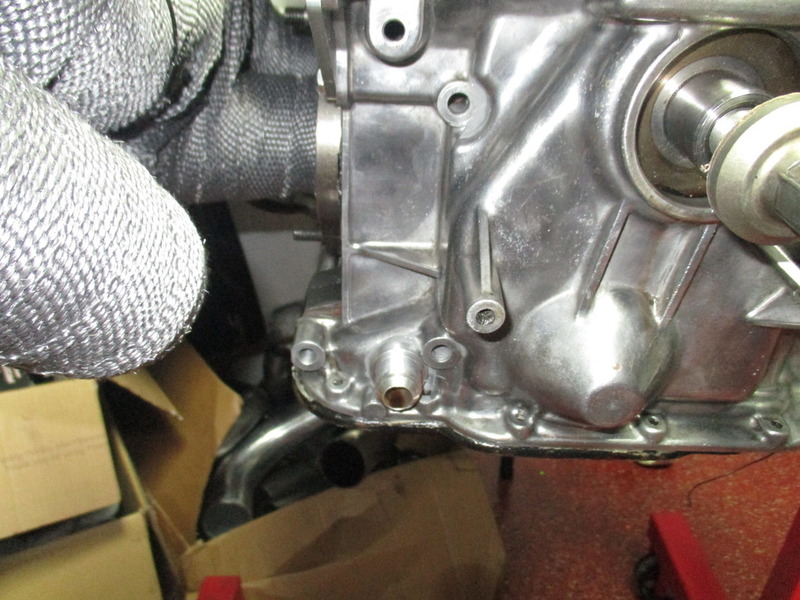 I want a backup plan in case I cant get this gasket to seal.